I made this simple comment on Twitter, and a wealth of Namaste goodness wafted my way! So NOW, my favorite flavor, color, Spice Girl AND Namaste bag are PUMPKIN SPICE! The folks at Namaste do an amazing job with their products! I’ve loved them for years (ever since I used their glass needles in my knitting with wire book, “Twist & Loop”) but their bags are OUT of this world! I’m not generally a “purse” woman. All the excitement over spending several hundreds (or thousands) of dollars on a bag has totally escaped me. Compact, perfect for biking, but NOT pumpkin spice! than is probably good for me. For over a year I’ve pretty much just carried my Steven B ‘newsboy’ shoulder tote as a purse & catch all, and I’ve done so proudly. I only grab a ‘nice’ bag when I’m meeting friends, and my nice bags of choice are always Namaste! My Olive (not pumpkin spice) Namaste Bag Travels Well in ROME! 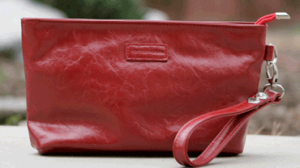 I love that the bags are made from Vegan Leather — no animals harmed in the making of a Namaste bag! I travel with them (they’re TERRIFIC for airline trips — there’re always pockets for passport, wallet, boarding pass, etc.) and they hold up like steel. I stuff these bags full of everything they can hold, I strap them on the back of my bike, I tie them onto my luggage and drag them through every airport, and they continue to look amazing year after year! Why am I going on about these bags? Well, I have a tiny little change-purse from Namaste and I’d love to gift it to one of you! It arrived out of the blue along with a small purse for me (that Pumpkin Spice joke on Twitter really paid off!) and I figured it would be good karma to share the Namaste wealth! The Peter Tork of this blog post. Just leave a comment below about your most useful bag. Not your most expensive, or even most beautiful bag, but the one that you automatically pick up if you’re off for a full and busy day. What is it that makes your most useful bag your ‘go-to’ carry? 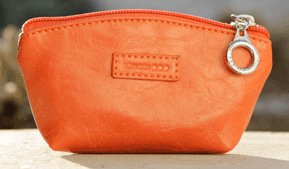 Leave your comment, and I’ll pick one at random and contact you to send you this adorable little change purse! This will be short, I’ll pick a winner on Saturday (tomorrow), so get your comments in! While you wait, enjoy this scary movie trailer! I’m more excited about it than I can say, but if you are on twitter use the hashtag #CaribouKnits and you’ll be a jump ahead of everyone else in my NEXT giveaway! This entry was posted in gift review, Giveaway and tagged namaste by Annie. Bookmark the permalink. My most useful bag is a Commemorative Mulberry leather bag I won this January in a photo contest. It’s my most useful because it makes me smile with a bit of personal pride every time I see it. I also have a Namaste bag I use when I want a big splash of teal, but otherwise I rotate between a few nylon cross-body bags. I like having my hands free! Thanks for the giveaway–it’s a great bag. This is sad, but my most useful bag is one of those re-useable grocery store bags from my local store. I often forget them when I grocery shop, but they never fail to be available when I need to throw something in a bag to go out the door (extra clothes, diapers, food, yarn, etc.)! My go to knitting bag is from a grocery store. Their go green bags have two places for bottles that are prefect for holding balls of yarn when I am doing color work. The bag is large enough to hold patterns along with tools and my necessities. I love love love my one namaste bag, you reminded me that they’re a good go-to when i need a new one. The whole spending hundreds gene has escaped me, too. When I’m of out of the house, I tend to grab any bag that fits my current project. I don’t have many, but they’re all of varying sizes! My favorite bag looks like it’s out of patent leather. It’s large, and shiney, and has zipper compartments, and I can fit tons of knitting/yarn/fiber in it. It is hot pink on the inside, and like the Tardis from Dr. Who, it looks like it’s bigger on the inside than the outside. I’m sure I’m just imagining it, but it works for me!!! My fav bag for doing it all is my Reisenthal Rounder bag. It is about the size of an airline carry on, has 6 internal pockets, and is lightweight. The outside wipes clean and it opens wide with a sturdy doctor’s bag frame. I can carry my wallet, , planner, makeup, spindles and fiber or a knitting project. In a pinch I can even tote my chihuahua. LOVE this bag! Quite honestly… I only have one purse/bag. It’s a great mid-sized, many-multi-pocketed, orange (PUMPKIN SPICE!,) cross body strapped purse that my very clever sister got me for Christmas last year. The strap is great as I can wear it so many different ways (and it’s easy to adjust). The pockets are amazing (6 outside zippered, and one inside zippered and three open)!!! The color always gets comments. And it has a matching travel umbrella (matches the psychedelic floral lining)!!!!! I carry a tote from Ameribag – specifically a size small, recycled PET, Healthy Back Bag tote. It’s ergonomically designed to carry things more efficiently, there are lots of pockets, and a small knitting project easily fits inside. My favorite bag is a small cross-body Namaste bag in eggplant. I bought it at Stitches West several years ago and it has traveled the world with me since. It’s finally beginning to wear out and will have to be replaced by another Namaste bag. Perhaps pumpkin this time? I carry a neon pink satchel bag and I love it! I finally got smart and stopped carrying a bag that held everyone’s things and now just lug around my own stuff! My most useful bag is from a seller on Etsy. It’s small and has a strap that you can unbuckle on one side, so you can convert it to a wristlet or put it through your belt loops. It is looking pretty sad from lots of use. My go-to bag is a wine-colored nylon Healthy Back bag purchased years ago. It’s roomy and has lots of pockets so it holds a lot (I don’t travel light, even to work) and it’s very comfortable. I can wash it and even after years of hard use it looks good. Zippers still work, no tears in the fabric, comfortable strap. My favorite bag is a nice small wallet with iPhone case attached but is wearing out to the point of shredding at the corners. Small bags are the answer. Honestly, half the time it’s a namaste bag! I’ve got a harlowe in pumpkin spice , and it’s my go-to as long as I’m not riding my bike- on my bike it’s a great messenger bag from mountain hard wear. Thanks for having another contest! 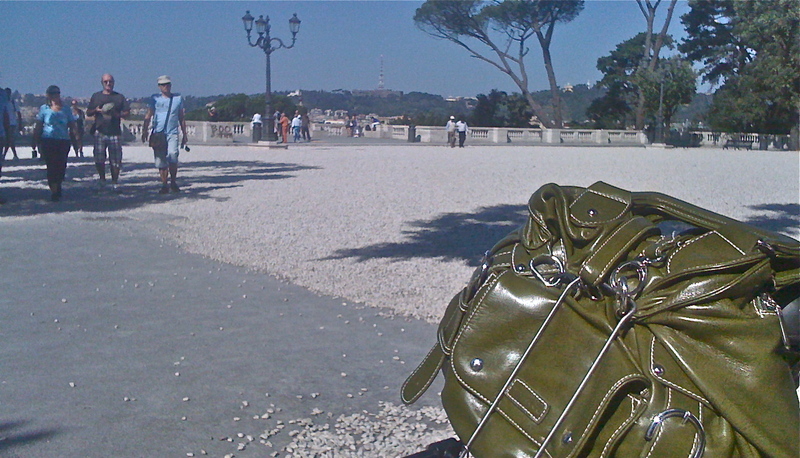 It is very hard to choose one most useful bag … right now I am really enjoying a discontinued Pacsafe purse. it has the right mix of convenient interior pockets, a key hook, plus the Pacsafe security features handy for travelling or in any crowded city (even at home in Toronto). Oh yes please!! Would love that and it is in my color 🙂 My most useful bag is a knitted basket I made in oranges and greens. Lined it in pelmet vilene and fabric and gave it wooden handles so it stands upright. That little purse would be just the thing to go in it. Heres hoping. Thanks for the chance. Love that pumpkin color! It’d fit great into my coach bag. Actually, my most useful bag is one of two big ones that will hold almost everything including my WIP if I’ll be out for a while (just in case). Don’t spend lots of money on a bag for myself and switch frequently so they last longer. Would love a Namaste and a change purse would be great since I lost one last fall that my granddaughter gave me. Don’t have the heart to tell her, but really used it a lot! This would certainly be a useful and go-to for me especially in pumpkin spice! 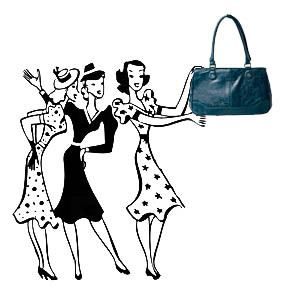 My daily bag right now is a Jordana Paige bag–the Cezanne. I have an old Namaste bag that is my go-to bag for bigger knitting projects (a Zuma). The pumpkin spice is such a fun color! My most useful bag is one that I bought at the airport this summer on my way to a lovely vacation. It is great because it has a strap that can go cross body if needed, or just on my shoulder, and it has several zipper pockets. It also happens to be my fav color — orange! My favorite bag is a canvas freebie project bag from my local yarn shop, Ewe-nique Knits in Royal Oak, MI. I take it with me to the grocery store to avoid using plastic bags. Oh, and I can also use it for a knitting project bag. My sportsac shoulder bag. It carries my wallet, toddler snacks, everyone’s sunglasses with room leftover for a sock in progress. I was just gift end the Harlow in pumpkin spice. It went to Canada with me last week. My favorite bag is the one that I actually knitted myself during Annie Modesitt’s double-knitting class (Interweave DVD class). The double-knit pockets designed by Annie are absolutely AWESOME.